Former President of Israel and Nobel Peace Prize winner Shimon Peres is well liked by the left-wing and even admired by the right-wing in Israel and around the world. His long history of working on behalf of Israel was highlighted by many wonderful quotable phrases. His farewell address in the United States was no different. Peres’s comments about acting-President of the Palestinian Authority Mahmoud Abbas had mixed reactions in Israeli society: the left believes that Abbas is a partner for peace; while the right-wing believes he is simply a more polite face of terrorism. However, both the right and the left agree that the rabidly anti-Semitic, jihadist, militant, terrorist group Hamas is an enemy of peace. Peres spoke clearly that any Palestinian government that included Hamas was not one that sought peace with Israel. Peres used an analogy from nature: that fire and water cannot co-exist in the same small space. Similarly in politics, the Palestinian Arabs cannot advance a plan of destroying Israel, while claiming it seeks peace with the Jewish State. The Secretary-General of the United Nations had a very different view of nature in the Middle East. This view is diametrically opposed to Peres’s and almost all Israelis. Hamas has never recanted its founding charter which calls for killing Jews and destroying Israel. It explicitly states that peace talks are not to be pursued. That the only pathway to freeing Palestine is through militant jihad. The Secretary General of the UN stated that the victims of terrorism are to be blamed for their own injured status. According to him, it is “human nature” to walk into a family’s home at night and stab and murder all of the inhabitants, including a three month old baby (as Palestinian Arabs did to the Fogel family), because of “occupation”. Israel’s left-wing champion, Shimon Peres, stated that nature itself dictates that peace and terrorism cannot coexist. As such, Hamas can never be accepted into a legitimate Palestinian government if there will be peace between the Israelis and Palestinian Arabs. Ban Ki-Moon argued that human nature demands freedom from a ruling authority it does not want. Therefore, his proposal is to remove Israeli controls and restrictions from the “West Bank” and Gaza. But Ban went beyond that. He demanded that no Jews be allowed to live in either of those lands, even if they legally purchase houses. He demanded that no Jew be allowed to run a business in those areas, even when they hire many Arabs and help the local economy. Israelis see no room for an anti-Semitic death group to be part of a future of peaceful coexistence. The United Nations sees no room for Jews to coexist with anti-Semites. 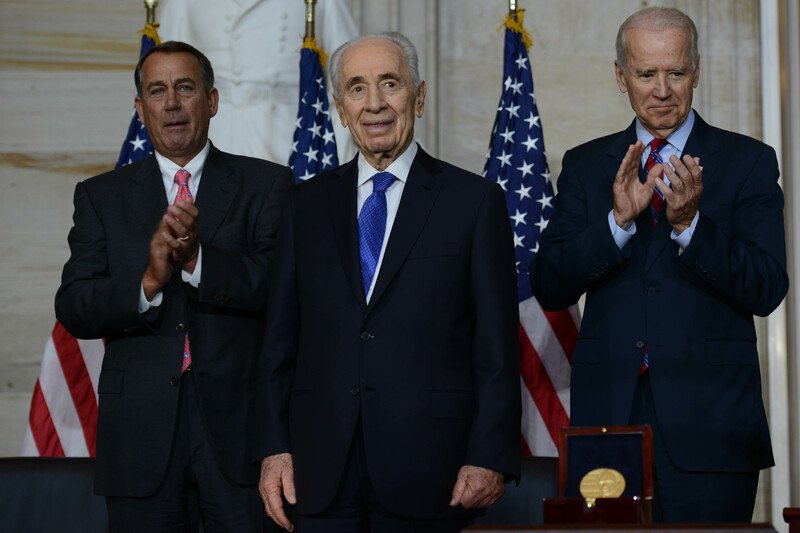 Peres has urged Israelis to make peace with those that seek peace. Ban has demanded that Jews abandon their homes to accommodate Jew-haters. For Israelis, the natural world can be one of peace, where there is respect for Jewish history, culture and people. For the United Nations, the natural world is rife with anti-Semitism. Jews are happy to co-exist with non-Jews. The Israeli government granted all non-Jews citizenship in May 1948. Non-Jews account for 25% of Israeli citizens today. In a democratic natural world, Jews and non-Jews are not “fire and water.” The only opposites are peace and war. Israel’s mission is to have peace extinguish the fire of hatred, terrorism and war. The undemocratic natural world is one of anti-Semitism, where Jews are the fire to be extinguished. So stated the UN’s Secretary General. This entry was posted in Israel, United Nations and tagged anti-Semitism, Ban Ki-Moon, Hamas, Shimon Peres, United Nations by First.One.Through. Bookmark the permalink.